The Gracillarioidea together with the closely related Yponomeutoidea are two of the earliest emerging superfamilies of Ditrysia - a clade which comprises the majority of Lepidoptera species. 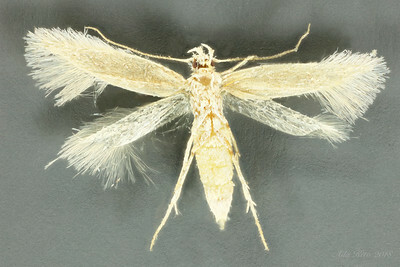 The Gracillarioidea clade of micro-moths, all leaf miners, comprises three families Roeslerstammiidae, Bucculatricidae and Gracillariidae. These phylogenetic relationships currently based on research by Kawahara et al. 2011 and Doorenweerd 2016 may change with further research.